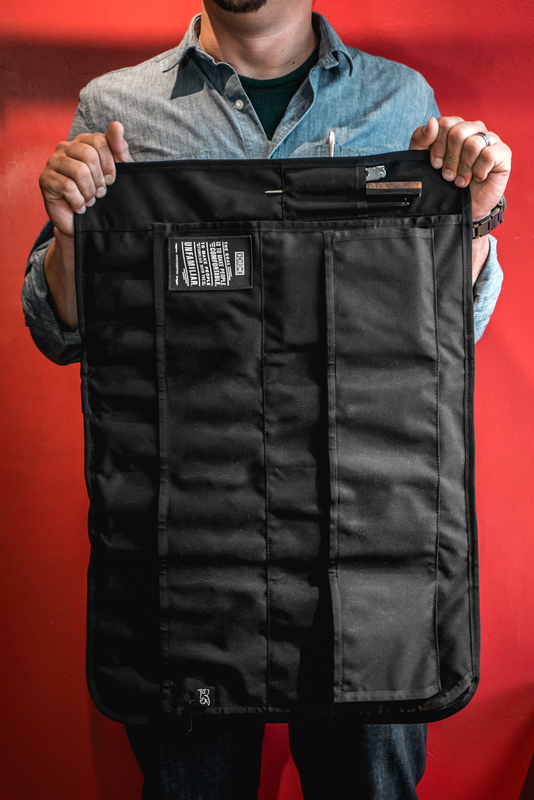 Chrome recently collaborated with celebrity chef Chris Cosentino on a knife roll and during the time spent with him Chris explained why he likes riding to work and what motivates him in the kitchen. I’m not a food blogger, but that is a good looking knife roll. Looks like it’s made from the same military-grade tarpaulin lining and 1050d nylon the messenger bag I carry with me to shoots is, the Warsaw II. See the Warsaw in this story for DP Mag.